Bridge and Newhaven for the Dieppe steam boats. Amalgamated Society of Railway Servants of England, Ireland, Scotland and Wales. England,” and was a most successful commercial traveller on behalf of the Railway Servants Orphan Fund. admirably suited for the work. interested persons could send donations. Servants (A.S.R.S.) 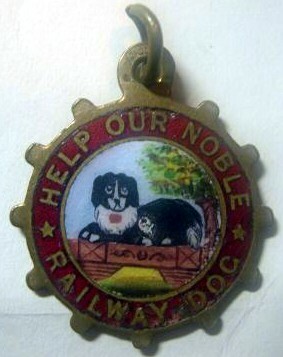 fob, which features the “Railway Dog". This badge is extremely rare and is over 100 years old. round the coast to Plymouth and beyond. 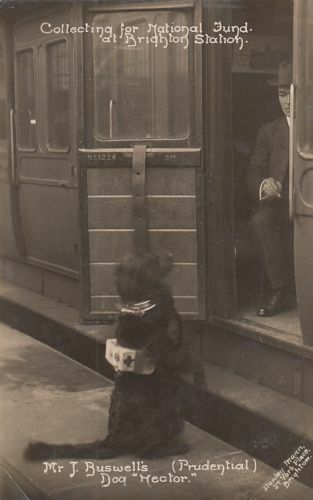 OTHER DOGS USED FOR RAISING FUNDS ON THE L. B. 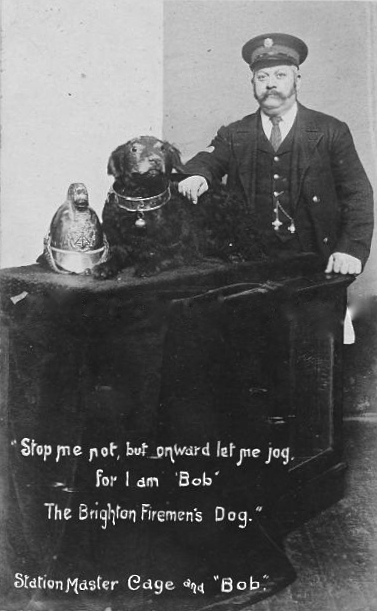 & S. C. R.
barked, “ hook hands” and performed tricks for money, their exploits frequently reported in the national and regional press. biscuits at a bakery. 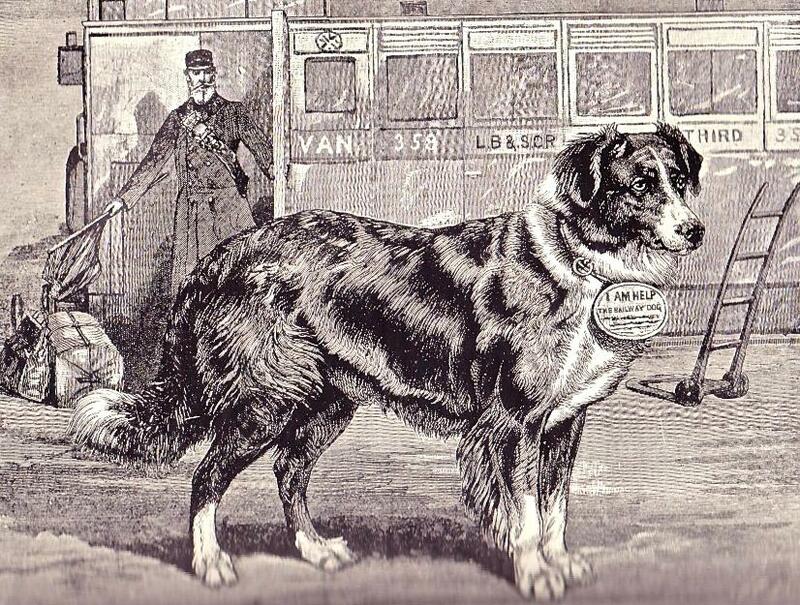 Railway dogs, were usually looked after and trained by railway staff and proved popular and lucrative. “Jack,” who was well known all over the L. B. & S. C. Railway. direction of all things appertaining to railways, as he will take no notice of any one not wearing a railway uniform. quite unoriginal in his way. animal was under the influence of chloroform. when had just returned from a wedding at Berwick, and he arrived gaily beckoned with ribbons in honour of the event. procession from the cemetery back again. the limb close to the shoulder, The operation was performed while the dog was under the influence of chloroform. the other taken since the accident, which has compelled him to a more sedentary existence. London, Dover, and Canterbury, and after went as far afield as Exeter, Edinburgh, and Glasgow, but always returned to Lewes. silver medal. “Jack” was nearly thirteen when he ended his notable career.